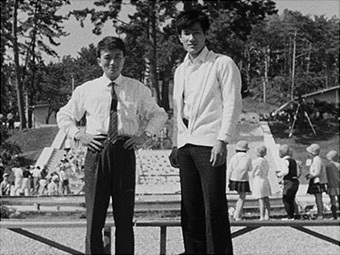 Yuji and his partner Noriyuki Yoshida. Yuji Miki, the founder of Miki Company was brought up in his father’s workshop. His father made traditional Japanese wooden products, so Yuji become familiar with the various types and properties of wood at a young age. This knowledge would become invaluable to him in the future. In 1960, Miki started making unfinished one piece cues using a machine that he had constructed himself. He then sold the cues to another company to be finished. By 1963, he was making finished one piece cues for a trading company who sold to the USA and demand began to increase. The factory was becoming too small to manufacture enough cues to meet the demand. The following year, Miki moved to a new larger factory in the same city. By that time, Miki’s production had risen to 240,000 one piece cues a year. In 1969, in order to make two piece cues, Miki began to set up machines in the factory. He designed and built his own machines and modified other machines that were bought for cue-making. 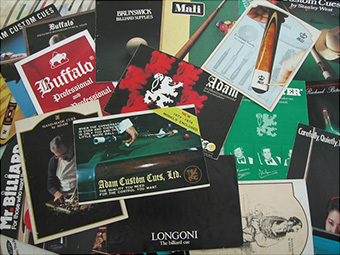 In 1971, an American company approached Miki to manufacture their two piece cues. An exclusive contract was made between the two that stated Miki Company could not sell his own brand of cues anywhere in the world including Japan. In fact, every cue Miki made had to be sold through that company. That is one of the main reasons why the Mezz brand was not heard of until recently. 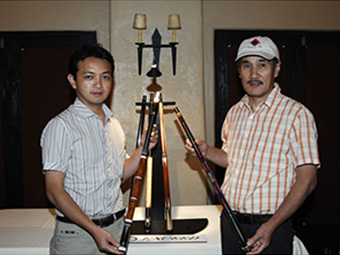 A couple of years later, Miki was asked by the American company to make Carom cues (wood-screw billiard cues) and Snooker cues according to their specifications. This led to the creation of these cues using Miki’s own methods of cue-making. Snooker cues : Adam, Riley, Buffalo, etc. As well numerous signature series for some of the brands mentioned above. By the late 1980’s, the number of orders began to decline and by the 1990’s, the Japanese yen grew very strong. As a result of this, there was a sharp drop in orders which led to the separation of Miki from the American company. Due to the exclusive contract, there was a rumor that Miki was American owned, however, Miki Company has always been independent. In 1994, Yuji’s son, Kazunori Miki joined the company. 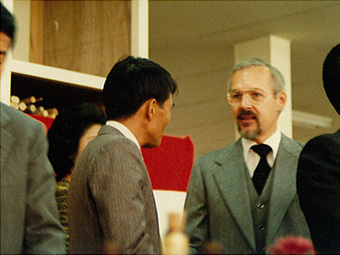 He wanted to turn things around and proceeded to develop a network of distributors both in Japan and abroad. Kazunori has shown his persistence in perfecting new methods of cue creation with unique designs and excellent playability. 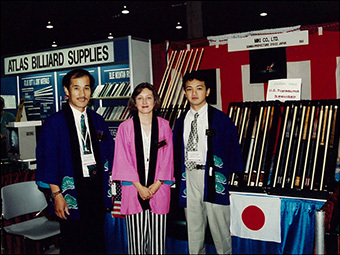 Finally in 1995 Miki was able to present their own, “Mezz Cues,” at the BCA Expo. Mezz Cues was introduced at the BCA Expo in the USA. The “United Joint”, Miki’s own super precise joint system was developed. Kunihiko Takahashi, 1998 World Champion, joined Mezz Cues as a professional player staff. Mezz UJ series was introduced in the United States. 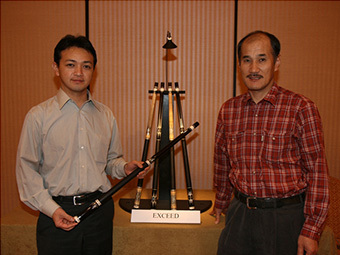 The Limited Edition “LE1999” cue, Mezz EC Series and the PUJ series was introduced in the United States. The Limited Edition “LE2000” cue, Mezz TA models and the CL series was introduced in the United States. The Limited Edition “LE2001” cue was introduced in the United States. The Mezz Hybrid Shaft was developed. Miki’s custom cue “Exceed” was launched. The new and improved Mezz hybrid Shaft, “Hybrid Pro,” was introduced. The Mezz ZZ series was released by CueStix Interational in the United States. The Mezz Power Break cue, Mezz JC jump cue and Mezz Pro Extention was introduced. 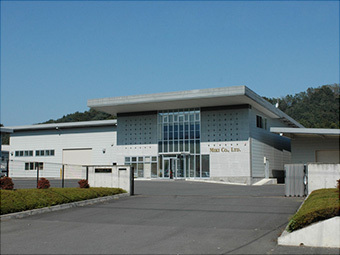 Miki Company is relocated from Nanokaichi to Okamoto Tomioka City. Mika Immonen, 2001 World Champion, joined Mezz Cues as a professional player staff. The next generation Mezz Hybrid Shaft,”Hybrid Pro II,” was launched. The Mezz Power Break 2 and Mezz Airshooter jump cue was introduced in the United States. The Mezz Z400 series were released by CueStix International in the United States. The Mezz JM400 and CJ500 series were released by J&J America in the United States. Yuji Miki, the founder of Miki Co., Ltd., became Chairman and appointed Kazunori Miki as the new President. Z600 series were released by CueStix International in the United States. The new Mezz “WD700” shaft was launched. The new Mezz Power Break 1 & 2 with the Deep Impact shaft was introduced. Kazunori and Noriyuki participated at the International Cue Collectors Show and exhibited the custom Exceed cues. Hayato Hijikata joined Miki Company as a staff member. The Mezz MPC2 series with the 314-2 shaft and EC7 series with the WD700 shaft was introduced. The Mezz AXI series were released by J&J America in the United States. 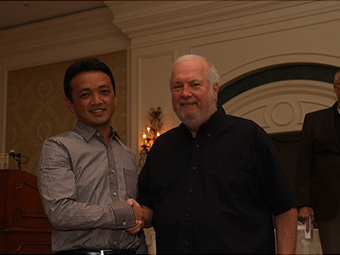 Alex Pagulayan, 2004 World Champion, joined Mezz Cues as a professional player staff. Caroline Pao and Mika Immonen established Mezz USA and made their introduction at the BCA Expo. Mezz USA website is www.mezzusa.com. Z800 series were released by CueStix International in the United States. The Mezz AYA series with the WD700 shaft and Mezz ACE series with the Hybrid Alpha shaft was introduced. The 1st model of the Alex Pagulayan, World Champion, limited cue was released. The next generation of the Mezz Break & Jump cue, “Dual Force” was launched. The Mezz MODE series with the OB-1 shaft was introduced. New “EC7” inlaid design models were released. MEZZ CLASSIC was held in Orlando, Florida on Aug 6-9, 2009. New super break shaft “The Deep Impact PRO” debut. Mezz genuine leather case “MLC” released. Miki participate the 2009 International Cue Collectors Show. Mika Immonen 3rd model “MI-3” was released. US Mezz Pro-Am Tour started. Hayato Hijikata 2nd model “HA-2” was released. 1st Annual Hard Times-Mezz 10 Ball Open was held at Hard Times Billiards. Mezz Women’s Pool Tour started. Super break cue “Power Break Pro” was released. Z100 new Mezz models were released by CueStix International in the USA. CJ100 new Mezz models were released by J&J America in the USA. New “EC7” plain model MD(Morado) and Es(Ebony) were released. 2011-2012 Limited Edition model “EURO Series” was released. New Super break shaft “Mezz Deep Impact Pro H” debut. The Mezz MPC3 series with the Predator 314-2 shaft was introduced. New Mezz Sneaky Pete were introduced. Mezz Professional model AP-2 debut. Mezz Limited Edition model LE-12 released. The new Mezz “WX900” shaft was launched. Mezz Case MZ-35, MZ-24 and NEC-24 released. New Mezz Carom cue “CR series” launched. Mezz Snooker cue “SKR series” debut. Mezz West State Tour started in August in the USA. New Mezz break cue “Power Break Kai” launched. New shaft “EX Pro” launched. Mezz new model “CP-13SW” introduced. Mezz Shaft Weight Cartridge Set launched. New Mezz “Axi series” is introduced. Mezz MO-23 Hard Case and Travel Bag debut. MSC Snooker Case is launched. Mezz Billiard Glove MGL released. Mezz “SKR E1a” Snooker Cue debut. Mezz “SKR E2b” Snooker Cue debut. Mezz Smart Chalk is released. New Mezz Case GMC-35 debut. New Mezz Extension MX-CF210 debut. New Mezz Travel bag TB-17 debut. New Mezz Premium Billiard Glove MGR debut. New Mezz Carbon Jump Cue AD2-K debut. New Mezz Shaft WX-Alpha debut. New Mezz “ACE series” is introduced. Copyright © MIKI CO., LTD. All Rights Reserved.